Key Difference: Bisect refers to division into two parts; usually the two parts are equal parts, whereas dissect refers to cut in order to observe the internal elements or mechanisms of the thing. 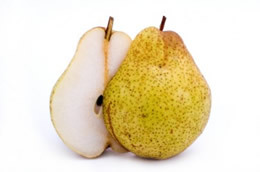 Many people may get confuse between bisect and dissect as both refer to cut or divide. However, they both have different meanings. Bisection and dissection are the processes named for the activity to bisect and dissect respectively. Oxford Dictionary defines bisect as ‘divide into two parts’. Definition of bisect simply refers to divide or cut in two parts. In bisect ‘bi’ stands for two and ‘sect’ refers to cut, meaning to cut in two parts. Most of the times, it refers to cut into two equal parts. The term is used in various disciplines like geometry, mathematics, software engineering and many more. In geometry, bisect defines the division of something into two equal or congruent parts. The bisection is generally done by a line, and the line is called as a bisector. Bisect can be used to divide a line, an angle, a circle, etc, into two parts. In mathematics, a root finding method is based on techniques of repeatedly bisecting intervals, and then a subinterval is selected in which a root must lie. These steps are required for the further processing. In software engineering, code bisection is related to effort of finding a specific change set. Code bisection reduces the amount of effort required to find a change set. Oxford Dictionary defines dissect as ‘methodically cut up (a body or plant) in order to study its internal parts’. In dissect, ‘dis’ refers to part and ‘sect’ refers to cut. The prefix of dissect is ‘dis’, not ‘di’. Di refers to two, therefore some people think wrong that dissect means to cut into two parts. Dissection is done for close scientific analysis or interpretation: “The students in the biology class are generally involved in dissecting insects as a part of practical studies. 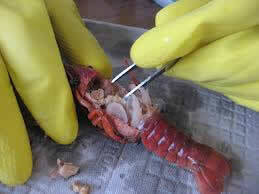 The term dissect is also used in various disciplines. In medical pathology, dissection refers to a tear within the wall of a blood vessel, due to which blood separates the wall layers, creating a pseudo aneurysm. The cuts obtained from dissection are generally fine segments, and these segments allow the minute and detailed analysis of the thing or entity that is being dissected. Dissection is usually done at plants and animals. According to the Wikipedia, human dissections were carried out by the Greek physicians, Herophilus of Chalcedon and Erasistratus of Chios in the early part of the third century BC, and before and after this time investigators appeared to largely limit themselves to animals. Bisection is a very important concept in geometry and mathematics, as some problems related to them can be solved on the basis of bisection. On the other hand, dissection is used for any discipline that requires the detailed analysis and study of the inside or interior of an entity. Dissection is generally used to give the practical knowledge to the students, especially if they are studying subjects related to anatomy, etc.